Small non-banking financial cooperation (NBFCs) are struggling to raise loans moreover with bigger financiers raising interest rates, fleet operators are forced to delay the orders. 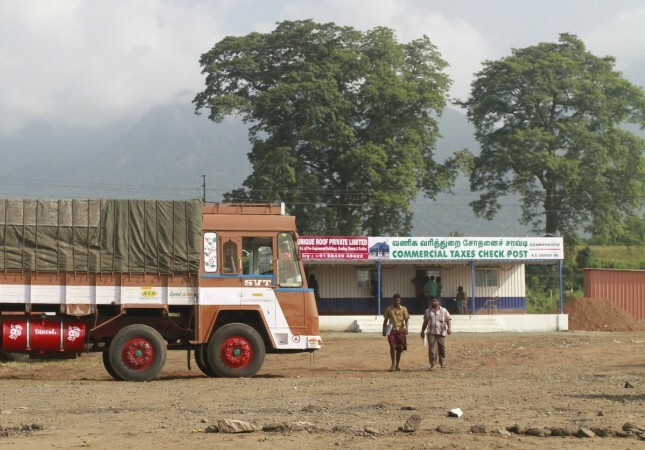 Indian economy is yet to recover from the Infrastructure Leasing and Financial Services Ltd (IL&FS) default crisis as the liquidity crunch is now expected to affect the sales of heavy trucks. Although default of IL&FS is one of the major reasons of the cash crunch, the industry experts have argued that currency volatility has further hampered one of the fastest-growing automobile segments in India. It is to be noted that almost all the heavy truck purchases are financed; small non-banking financial cooperation (NBFCs) are struggling to raise loans moreover with bigger financiers raising interest rates, fleet operators are forced to delay the orders. In the commercial vehicles, heavy trucks account for 36% of the total sales. President of India's largest heavy truck maker Tata Motors Ltd said that "Few headwinds such as the oil price increase and liquidity tightening (credit availability as well as the interest rate) are challenges which have dampened the sentiments to some extent since the last few weeks." He further added that "We are still in the initial phase of liquidity tightening, it is not acute or sustained." Data from the automobile industry body, the Society of Indian Automobile Manufacturers (SIAM) showed that the sales of medium and heavy-duty trucks jumped 47% from the year-ago during April to October to 199,573 units. Similarly, total domestic sales of buses and trucks also increased by 36% to 574,463 units. The heavy truck segment is heavily dominated by two players with Tata Motors and Ashok Leyland Ltd controlling over 80% of the entire market. Highlighting the dual shocks of liquidity crunch at the smaller NBFCs and bigger players increasing the interest rates Anuj Kathuria, president of global trucks at Ashok Leyland said that "Some smaller financiers have completely withdrawn in the interim and are not issuing any further delivery orders for new truck purchases. The better-placed NBFCs (non-banking financial companies), while having adequate cash reserves, have decided to make the most of this liquidity crunch and have upped their IRR (internal rate of return) by 15-20 basis points to improve bottom-lines." Lately, commercial vehicle demand has been driven by macroeconomic factors such as robust manufacturing activity, increase in private consumption and higher government spending on mining and large infrastructure projects.